Hello my beauties and I hope today finds you well. Are you loving all the Autumn vibes right now? I know I am but I also know that the crisp leaves, brisk, darker mornings means one thing in particular. Christmas is on the way. Yes I said it and I apologise but it doesn’t stop it being true. Are you buying already? I am about to make it up to you though. Let me help you prepare for Christmas by sharing where you can find all the great savings to be had and even a freebie or two hundred! 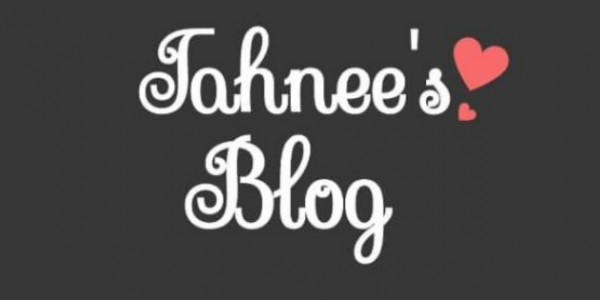 This year on Tahnee’s Blog I have tried my hardest to host as many giveaways as possible. It creates great interaction and I also get to show you my appreciation for your support. From this I have learnt that you lovelies love yourself a great giveaway. I myself love a freebie because let’s face it who doesn’t. I have found a great site that brings together some of the amazing giveaways the internet has to offer all in one place. Gratisfaction Uk offers a huge variety of freebies and giveaways. From toothpaste, Kylie lip kits and a huge selection of beauty products. All the way through to pet care and beyond. So for all my hard-core compers followers you’re going to love this as you don’t need to chase the giveaways they’re all all one category. Not only do they have an extensive collection of giveaways but bargains galore. With discount codes, deals and vouchers. With the dreaded C word (Christmas lol) fast approaching any discounts or bargains are all gladly appreciated. From EBay, Amazon to high street chains such as Mark’s and Spencer’s. You are going to find a saving you love. Beauty products galore for the pamper queen in your life. Savings on delivery and so much more it’s going to be invaluable in the run up to Christmas. No literally guys! We all know that one person who is obsessed with their bicycle. Maybe your teenage brother or son? Or perhaps your mum is a keen cyclist? Or even you yourself like to put the pedal to floor? Plus with many parents investing in biking essentials for children most years a saving here and there won’t go a miss either as it can get exspensive fast. You can find yourself some great Bike discounts which is a site where you can search for your preferred cycling item and you will be given all the cheapest options available to you. Whether it’s a specific part or brand. You can find the best value for money and who doesn’t want that? The same way we all know st least one person obsessed with their bicycle the same can be said for music too. I know that public opinion can become quote heated one the subject. I’m asking the question anyway. Does music sound better on vinyl? I mean I love to hear the little flickering scratch and pop as the needle is applied. I also love how vinyl records are still used today by some of the world’s best dj’s. The only problem is how exspensive some vinyl has become and how difficult it can be to get hold of. Fear not as you can now have access to cheap vinyl when ever you need it. A great Christmas gift for a parent or friend is addictive to the beat. I know it may seem a little early for Christmas but as the old saying goes. Make sure you check out all the bargains and savings that ‘re to be had and save some money this Christmas by preparing well now. Are you already Christmas shopping? What sales and shops do you live for Christmas? Let me know below my loves.